Enn horfði ég á vatnið. Mér fannst ekkert eðlilegra en að vera þar sem ég var, einmitt núna. Ég sá að ævi mín var bara undanfari þessa augnabliks. Daníel býr einn í íbúð sem móðir hans á. Hann er hættur í háskólanum og hefur hvorki efni á mat né eldsneyti. Dag einn fær hann tvö símtöl, eitt frá fyrrverandi skólafélaga og annað frá lögreglunni, sem hrinda af stað dularfullri atburðarás. Krossfiskar er spennuþrungin skáldsaga um átök sálarinnar – um mörk góðs og ills, vonar og vonleysis. Nominated for DV Cultural Prize for Literature 2017. María er tuttugu og tveggja ára. til að sækja litina hans Karls Kvarans. Svo ætlar hún að fara. Winner of the Tómas Guðmundsson Poetry Prize 2017. Nominated for the Maístjarnan Poetry Prize 2017. – og gestirnir hafa áhrif á þorpið. 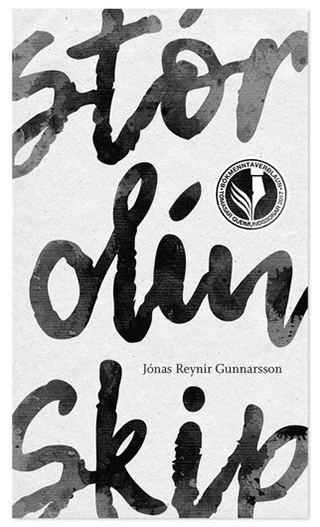 Við deyjum á Mars (We Die On Mars) and poetry books Leiðarvísir um þorp (A Village Manual) and Stór olíuskip (Big Oil Tankers), the latter of which won him the Tómas Guðmundsson Poetry Prize in 2017. 2017 Nominated for the DV Cultural Prize for Literature for Millilending (Through Flight). 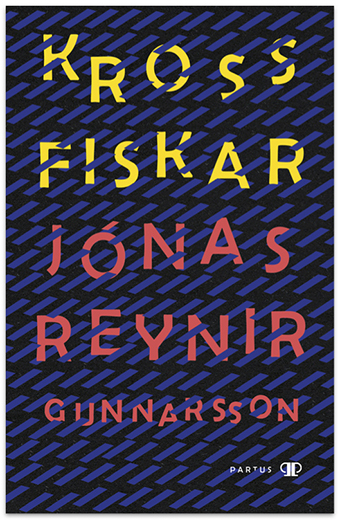 2017 Nominated for the Maístjarnan Poetry Prize for Stór olíuskip (Big Oil Tankers). 2017 Won the Tómas Guðmundsson Poetry Prize for Stór olíuskip (Big Oil Tankers). 2016 Special recognition in Jón úr Vör Poetry Prize. Við deyjum á Mars (We Die on Mars). 2014 Won Stúdentablaðið's (The University Magazine) Poetry Prize. Iceland Academy of the Arts, Reykjavík. Directed by Stefán Jónsson. 2014 Petra – script advisor. Dance for Me at LÓKAL. Directed by Pétur Ármannsson. 2013 Sá á fund sem finnur sig (Finders Keepers) – co-author. The Student Theatre, Reykjavík. 2013 Næturlíf (Nightlife) – script advisor. Tilraunaleikhús Austurlands. Directed by Pétur Ármannsson. 2008 3DM – author. Frú Norma. Directed by Guðjón Sigvaldason. 2007 Súper-Maríó – author. Egilsstaðir College Theater Company. Directed by Guðjón Sigvaldason. 2017 Poems in Ljóðbréf (Poetry letter), published by Tunglið forlag. 2017 Participant in Waters and Harbours in the North, a project for Reykjavík UNESCO City of Literature. 2016 Poem for Word on the Street, a commision for Reykjavík UNESCO City of Literature. 2015 Þau stara á mig (They're Staring at Me), short story (Partus). 2011-14 Published comics and co-edited magazine Ókeipiss with Hugleikur Dagsson. 2005-10 Web-comic Arthúr published online three days a week with co-author Finnur Torfi Gunnarsson. 2008 Guest comic in Hugleikur Dagsson‘s book, Eineygði kötturinn Kisi og ástandið (Kisi, the one-eyed cat, and the Situation), published by Forlagið. 2006 Arthúr, comic book with co-author Finnur Torfi Gunnarsson, published by Skrudda.